Yanzhou Coal Mining Co has got approval from Australian government for its A$3.5 billion ($3.2 billion) takeover of Felix Resources Ltd on Friday, after it agreed to operate its local mines through an Australia-based company. Analysts said the deal would boost Yanzhou Coal's production by 10 percent. It is so far the largest acquisition in Australia by a Chinese company. 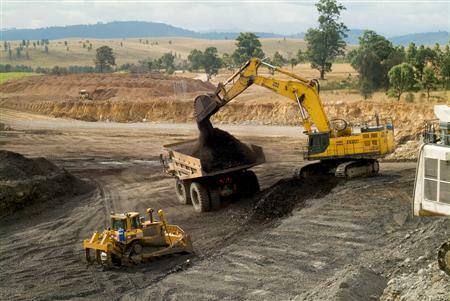 While giving the green light to the deal, the Australian government has stipulated that Yanzhou Coal must operate its Australian mines through a company, Yancoal Australia, that is incorporated and headquartered in Australia and is managed in Australia using a predominately Australian management and sales team. Yanzhou Coal must list Yancoal Australia on the Australian Securities Exchange by the end of 2012 and, by that time, reduce its holding in the company to less than 70 percent, Australian Assistant Treasurer Nick Sherry said in a statement. Yanzhou Coal must ensure that the chief executive officer and chief financial officer of Yancoal Australia have their principal place of residence in Australia, said the statement. The company must market coal produced at all of its Australian mines "on arms-length terms with reference to international benchmarks and in line with market practices", it said. "With these undertakings provided by Yanzhou, I consider that this acquisition is consistent with Australia's national interest," said Sherry. "It represents the first time a Chinese State-owned enterprise operating in Australia will list on our stock exchange. As such, it demonstrates the strength of the developing bilateral economic and investment partnership between Australia and China." Felix has four major mining projects, two in New South Wales and two in Queensland. Three of these are in production, with the Moolarben mine in the Hunter Valley under development. The deal also means jobs for Australians, especially in regional areas, said Sherry. "Yanzhou will continue all four of the Felix mining operations, including completing the development of the Moolarben mine - this will create more jobs for both New South Wales and Queensland." "Finally, Yanzhou's undertakings support the continuing market-based operation and further development of Australia's natural resources." Analysts said that the conditional approval shows that the China-Australia relationship is managed carefully.